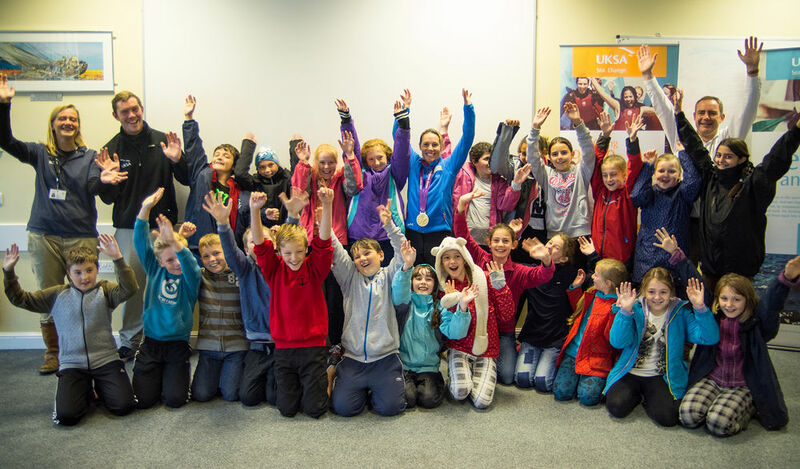 London 2012 Paralympic Gold Medallist and UKSA ambassador, Helena Lucas MBE was on hand yesterday to give Isle of Wight pupils their first taster session of sailing. This year, UKSA was unveiled as the official charity of Aberdeen Asset Management Cowes Week – pledging to get all-comers involved in the regatta and use the monies raised to give all year 6 pupils on the Isle of Wight the opportunity to get out on the water. The objective has now become a reality with over £35,000 raised. Youth charity UKSA offers transformational opportunities to 9,000 young people a year through sailing and watersports. Richard Thornton, CEO of UKSA, commented: “Being the Official Charity to Aberdeen Asset Management Cowes Week has enabled us to achieve this milestone today. It is fantastic to see our objective become a reality and enabling those close to our centre the opportunity to experience the sea”. The first school, Cowes Primary School took to the water with 30 year 6 pupils. 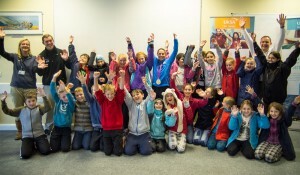 South coast based athlete, Helena Lucas has also been on hand to give the children her expert tips and show the newcomers where the sport of sailing could lead them. Over the coming weeks, every year 6 pupil of an Island School will take part in their free sailing day.